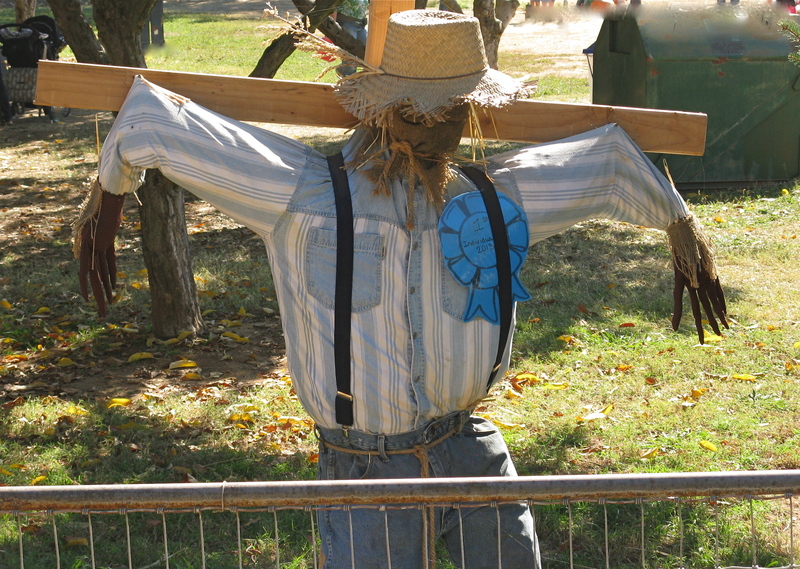 Elmer’s a scarecrow. He took the job because he was tired of working indoors at the straw hat assembly line, and figured heʼd enjoy working outside at a farm. But no one told him he’d be toiling away 24 hours a day, seven days a week for no pay. No ergonomic chairs. No molasses breaks. They did stuff his belly with straw when he started looking thin, so he rarely felt hungry. And they washed his clothing every year. But he didn’t want to spend his prime working years standing in a cornfield, so he considered improving his job skills and finding a better position. Problem was, he was reluctant to take out a student loan. Finally Elmer found the perfect job. Now he can afford pumpkin pie every day. Much tastier than straw. He discovered he was a master at creating holiday garden art. 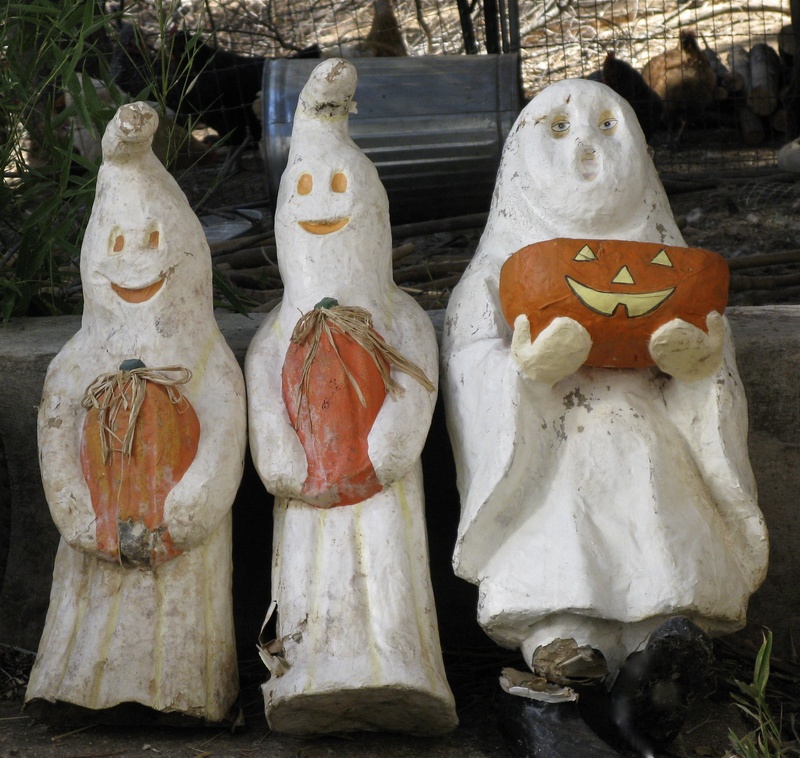 During Halloween season, he gets into the October spirit as he crafts these ghostly figures holding pumpkins. Tags: ghosts, pumpkins, scarecrow. Bookmark the permalink. The Munchkins should love this. Happy Halloween! I’m happy they’ll be able to share in Elmer’s big success.